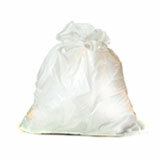 Are you under the impression that by using biodegradable trash bags you’re helping the environment? Well, allow us to break the bad news, but biodegradable trash bags aren’t what you think. As for compostable trash bags, that’s another story (which we’ll get to), but let’s start with first things first – namely, the biodegradable option. 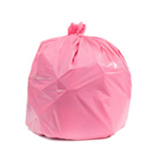 Biodegradable trash bags give most of us a warm and fuzzy feeling. Who doesn’t want to help the environment, right? In fact, if you’re like me, you’ve preceded your purchase of biodegradable bags with a well-intended thought process that goes something like this: If I buy this bag, my trash will magically go back to nature – an ashes-to-ashes-dust-to-dust sort of thing – which makes me happier than imagining it rotting in a landfill. Hmm. I guess I’ll buy a box … or five. But what your mother never told you – forgive her; she didn’t know – is that biodegradable trash bags are anything but the environment’s friend. 1. 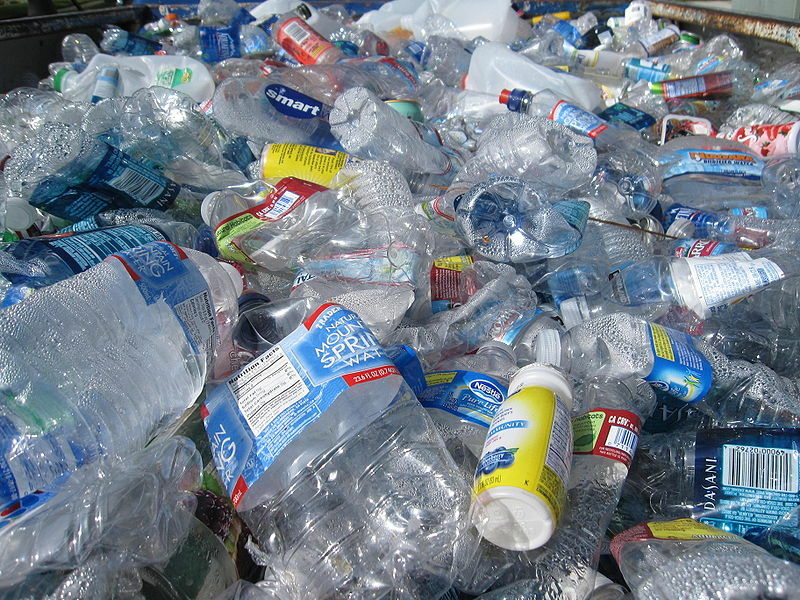 A high percentage of biodegradable plastic ends up in landfills, where nothing biodegrades. In fact, the Environmental Protection Agency (EPA) requires landfills to block out air, moisture and sunlight – the crucial elements for proper biodegradation. That means that if your bag is like most “biodegradable” bags, it will just sit there, unable to decompose. And while some companies tout having a biodegradable additive (a special film) on their biodegradable bags that lets them decompose completely, that claim has been challenged in court and still lacks consensus. 2. 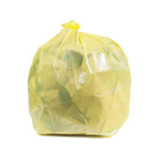 Biodegradable plastic bags typically can’t be recycled with other plastic items. It all has to do with those little numbers you see on plastic bottles. A No. 1 and a No. 2 can be recycled together, but throw in a biodegradable bag – a No. 7 plastic – and you’ll contaminate the whole “recyclable” load. It’s like what happened when I was eight years old and my mother washed my white baseball pants with the colors. They came out a nauseating purple. I have the photos to prove it. 3. Biodegradable bags can harm the environment. Yes, you read that right. When biodegradable trash bags wind up in landfills, decomposition happens at a much slower rate than if the trash were exposed to air, light and moisture. As a result, methane gas gets released into the atmosphere. In fact, pound for pound, methane contributes 20 times more to the greenhouse effect than carbon dioxide over a 100-year period. So, what’s the eco-minded person to do? 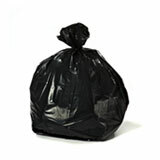 a. Compostable trash bags are regulated; biodegradable trash bags are not. 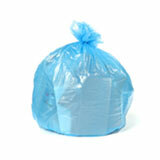 In other words, compostable trash bags meet an industry standard that is government-approved. 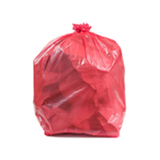 Just look for the designation of BPI-certified (from the Biodegradable Products Institute), which is your assurance that your compostable trash bags are doing what they claim to do – namely, enabling compostable material, such as lettuce, coffee grinds, nut shells, yard clippings and leaves, to compost naturally. 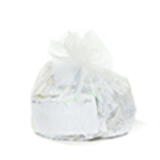 b. Compostable trash bags are truly compostable. In other words, you can’t just throw a biodegradable trash bag on your compost pile and think it will decompose. It can’t; the temperature won’t get hot enough. But compostable trash bags will turn into compost over time. As to why that’s important, it comes down to the knowing the benefits of composting. One of those benefits is compost’s ability to reduce greenhouse gas. That’s right: Compost can actually help soil absorb carbon. An article on the natural-health-focused website, Mercola.com, referenced the Marin Carbon Project as an example of how composting breathes life into the environment. The Marin Carbon Project, which began in 2008, sought to improve the environment through the covering of cattle-grazing land with half an inch of compost and then observe the results for roughly the next decade. Think about that. That’s a heck of a lot better than throwing your food scraps in a biodegradable bag, only to later learn that they’re boosting methane gas emissions. 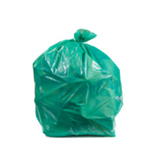 c. Compostable trash bags have a legitimate process for disposal. 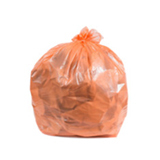 Unlike biodegradable bags, which, despite having biodegradable contents, often get thrown into landfills, compostable trash bags have a legitimate means of disposal. It’s called a compost facility. According to the American Chemistry Council (ACC), if you want to decompose biodegradable materials, you need a large-scale composting facility. And that means you’ll need compostable trash bags. As for finding a compost facility, just go to findacomposter.com to find one near you. So, if you want to clean up your surroundings while helping the environment, we’ve got the solution: compostable trash bags. They’re regulated, they do what they say they’re going to do, and they come with a legitimate way of disposal. Plus they’re easy to find – just click here. Disclaimer: The opinions expressed here reflect the understanding of the author and are neither legal definitions, nor necessarily the opinions of Plasticplace. What size is your roll-away cart?